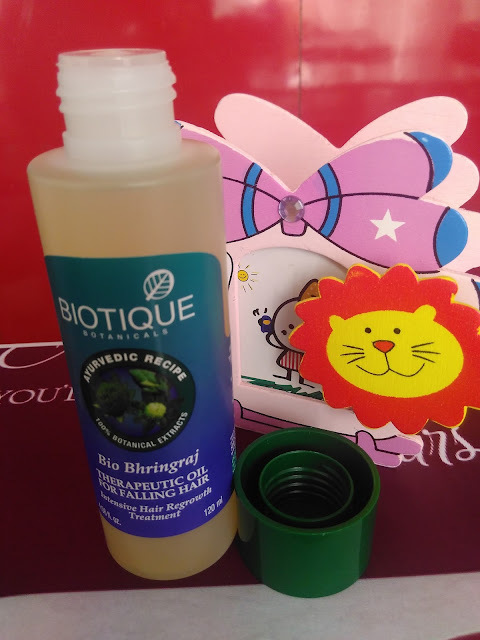 Couple of day’s back our team received some amazing stuff from Biotique and trust me this girl could not much happier. I have a secret love for the ayurvedic products and this hair care kit from Biotique just made my day. 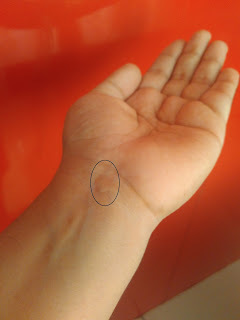 As soon as I got it I decided to try the Bio Bhringraj oil first from the kit. Today I am sharing my unfiltered honest opinion with you all. To start with I had frizzy hair a year back, very much un- manageable so I thought to get smoothing on them. You can understand no gain without pain. My hair are now manageable and straight but falls, falls, and falls. So, I am trying my hair on different hair care products like oil there is shine boosting oil for everyone of us. This therapeutic oil formula features bhringraj, Amla fruit, Tesu flower, mulethi stem, brahmi plant, cow milk and goat milk. It helps to treat alopecia and other causes of hair loss. 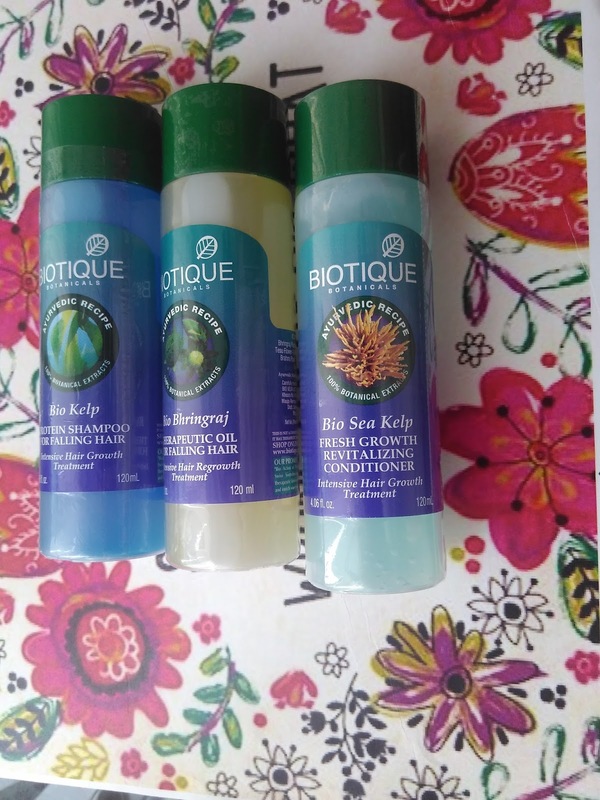 Packaging: It has a regular transparent plastic packaging from Biotique which makes it easy to check how much product is left with green coloured lid. The oil bottle has a crew cap to control the flow of oil from the bottle. Texture, Color and Fragnance: This oil gets full points for being the most lightweight – meaning it’s perfect for fine hair or for anyone still wary of oils. It is yellowish in colour which can be hailed as liquid gold from the ayurveda. The oil has got a mild indistinct fragrance which does not bother at all. Effect on hair: I applied the oil for 2 hours and wash it off. I have a dry scalp so realized I need more amount of oil to get absorbed. After wash, I felt my hair are soft and manageable. I could feel that silk touch of my hair. The thickness in hair back with an overall healthy look. At the same time I felt some dryness on my scalp. 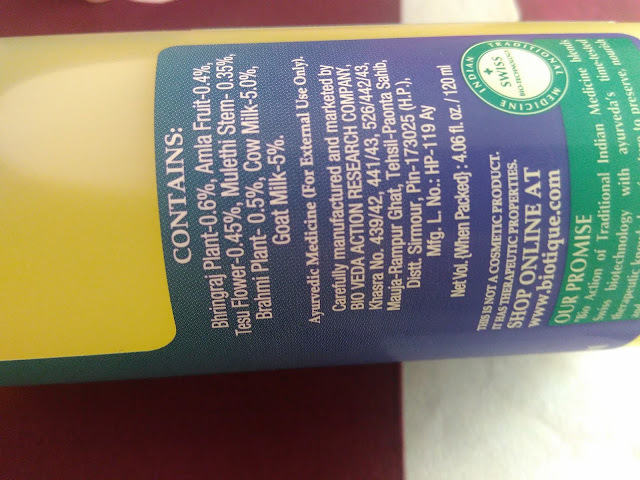 So I am wondering as it is mentioned to use it for half an hour before washing your hair and I applied it for 2 hours. As far the hair fall is concerned maybe hair reap benefits after using it for a longer period of time but as of now, I feel that it’s too early to comment. However, it contains all the usual softening elements plus amla which is even bigger anti falling element. Also it took just two washes to clear out the oil from hair and scalp unlike other heavy oils. I would highly recommend this hair oil for hair loss treatment which nourishes hair & thereby reducing the hairfall and making hair healthy.